Located in a collection of stories about mental health called (Don’t) Call Me Crazy, Monique Bedard (Aura)’s poem “Constellations of Stars” reveals the way that mental health, identity, and landscape can interact with each other and speak to each other. Society pretends that mental health happens in isolation, but Bedard, a Haudenosaunee person illustrates the deep connection between colonial violence and what is coded as “mental health” issues. Bedard uses poetry and word play to explore the relationship between body, land, identity, and the notion of storied existence. She begins by revealing to her reader that her body is a map of scars that tells a story. Her body is implicated throughout the poem, woven through her words and experiences. This is an emBODied work. “Constellations of Stars” weaves together Bedard’s own narrative and the narrative of indigenous people in general, illustrating that there are shared experiences and that she feels the pain of colonial violence both from the people that came before her and in the violence, erasure, and loss of land that she has experienced. Bedard’s voice is a multiplicity in one, a shared truth. She explores the theft of indigenous lands, the pain of separation in residential schools, the theft of indigenous children by people who tried to erase their culture, missing and murdered aboriginal women, the erasure of languages, culture, and history. Her story is her own… but it is also larger than a single story. Bedard explores the idea of “witness” – the power of the act of speaking about things that are being erased, giving voice to situations that were silenced, and enacting truths to counter colonial lies. A review of Heidi Heilig’s “The Long Road” in Unbroken: 13 Stories Starring Disabled Teens (Farrar Straus Giroux, 2018). Heidi Heilig’s “The Long Road” begins like many trope-filled stories about disability does – with a self-loathing disabled character seeking a cure. The trope of “the cure” and especially “the magic cure” is built into a large number of fantasy stories, creating a quest for characters around the discovery of a cure, or having characters use magic to transform their bodies into normate bodies. The difference with Heilig’s narrative, is that although her disabled narrator begins a long quest with her family wearing protective amulets to ward off evil (since her disability is seen as a marker of evil) toward Persia where her family believes there will be a cure… Heilig switches the narrative, breaking from the typical fantasy “magical cure” trope and instead allowing her character to gradually realize that the notion of “the cure” is a problematic one that causes her to view her body as a problem to be “fixed” and instead starts to question the idea of normalcy, realizing that bodies are far more complex than her family had led her to believe. It is only through finding a disabled community and companionship with another disabled person that Heilig’s protagonist is able to begin to re-assess everything she has taken for granted as “truth” for so long. Heilig reminds her readers that we frequently find knowledge and new ideas within our own disabled community and that we construct our own community as we find other people like ourselves who don’t make us feel like outsiders or exiles. Heilig makes the exile literal by having her characters wander the desert in search of a cure, believing that they can return home “normal”, but although her character searches for normalcy (which is so often the fantasy quest attributed to disabled characters), instead she finds the power of community and challenging her assumptions. Rather than a physical transformation, Heilig presents her readers with a transformation in thought and perspective, an awakening to new possibilities for disabled existence rather than the erasure of disability. Jax Jacki Brown’s autobio story “The Politics of Pashing” explores the visibility of Queerness and Disability and the politics of staring. Jax explores her ability to reverse staring that happens as a Queer wheelchair-user by “pashing” (kissing passionately) in public and playing with her “eye-catching” nature by dying her hair red, wearing a rainbow neckerchief and overlaying her body “with signals of queer sexuality”. Instead of being the object of staring by an ableist, heterosexist society, she takes power away from people who would use their ableist glare by instead reversing the stare and making her body a display of fierce sexuality. Jax questions whether people are staring at her because of her Queerness or disability, inviting the question of which identity attracts the most stares. She determines that people are staring at her because of her disability and their assumption that disabled people are un-sexual. She tells her readers that she resists this de-sexualization by presenting people with the visibility of her sexuality – by kissing passionately in public. Imagine a planet entirely populated by Deaf people. Imagine all of the possibilities for Deaf inclusion and accessibility with an entirely Deaf planet. Now imagine that there is one city where the oral method is forced on everyone. That is where Kelsey M Young situates the story “Understanding”. “Understanding” brings attention to issues with schools who forced the oral method of communication on Deaf students. It is a reminder of the power of audism and the history of banning students from using signed languages. Although situated in a science fictional world on a distant planet, Young’s story is about the oppression Deaf students have experienced in school systems that force their audist ideas of language on the population. Young brings up issues like teachers hitting the hands of students for using manual languages, students being forced to sit on their hands to avoid signing, students struggling with comprehension when their teachers only use vocal languages, and the feeling of isolation that comes from being constantly othered. “Understanding” is situated in a place called Milan, where signed languages are forbidden and the people who use them are called animals and subject to deportation. Even though Eyeth is a colony planet for Deaf people, the community of Milan treats sign language as a crime and forces its Deaf population to use a combination of hearing aids and speech reading. 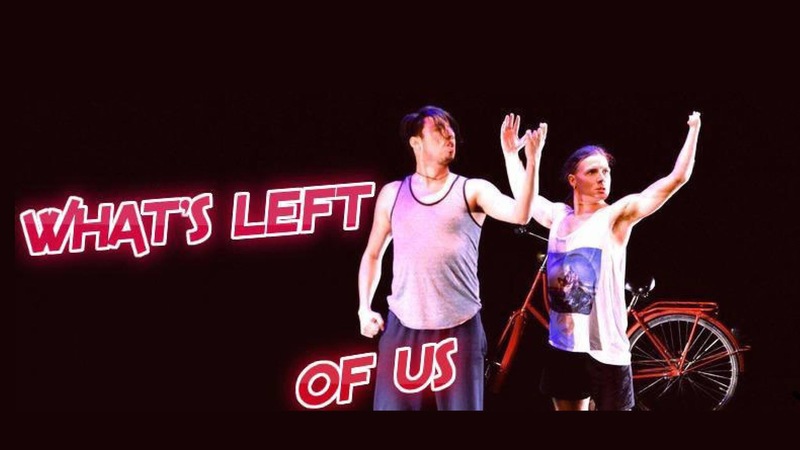 Young hints at the possibility that at some point in the past of this planet, it was ruled by people who used American Sign Language (ASL or Ameslan as it is called in Young’s story) and therefore ASL carries a lot of stigma. Young’s tale is about a teacher who risks everything to teach a student manual languages since he is struggling with oral language, bringing attention to issues with our own history of forcing Deaf students to learn by oral method and also bringing attention to the teachers who resisted school policy to help their students succeed. This is a powerful story of Deaf Futurity that also recognizes the continuing presence of past (and continuing) oppressions. Gowdy examines the plasticity of the mind and questions ideas of the “normal” functioning of the mind by illustrating that the mind is changeable and always shifting. Rose had buried the memory of her sister who died when she was young, trying not to think about her, but her mother’s dementia and her discovery that Harriet’s eyes are similar to those of her sister have brought up memories of the past, causing her to examine her own feelings of guilt and her memories of the past. Gowdy examines ideas of memory through the lens of dementia (which is socially constructed as a return to an earlier period in one’s memory), and through the notion of out of body experiences. Gowdy’s notion of seeing out of the eyes of others is reinforced by the fact that Rose and Fiona own a theatre, which reinforces the idea of other visions and perspectives. Gowdy invites the question of voyeurism and whether seeing through another person’s eyes is an invasion of her privacy, particularly since Rose begins to look into Harriet’s life, trying to discover more about this other woman whose eyes she is seeing through during any thunder storm. Rose’s obsession invites the question of identity, allowing her to know herself by knowing who she is not. Gowdy invites the reader on a quest of self discovery alongside Rose and Fiona, exploring how we define ourselves in relation to other people and in relation to our perception of memory. 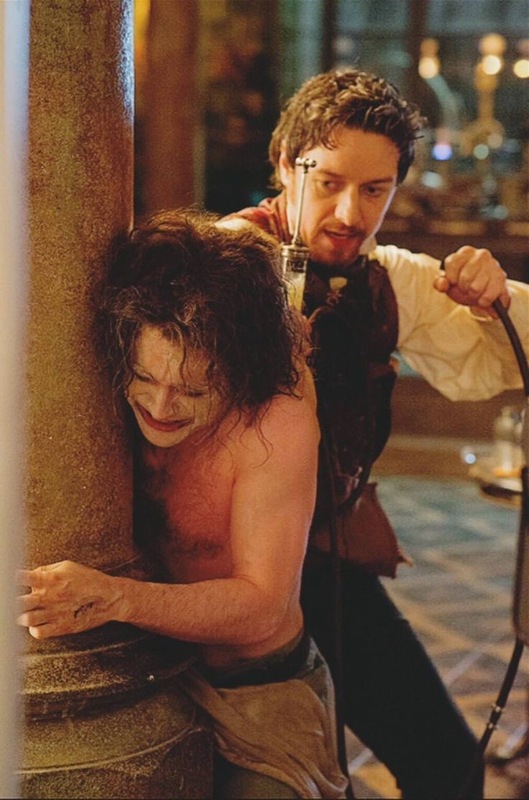 A review of Paul McGuigan’s “Victor Frankenstein” (Davis Entertainment Company, 2015). I’ve been giving thought to the cinematic gaze lately and the way that is configures disabled bodies. Frequently camera angles focus in on bodily difference, breaking disabled bodies on screen into dismembered parts – zooming in on prosthetic legs, panning to blind eyes. The camera breaks the disabled body up into parts of difference, divorcing it from its bodily context and from the personhood associated with it. “Frankenstein” was written by Mary Shelley as a body text, exploring the idea of how life and death are entwined into bodily existence and examining the perception of medical science that it could conquer the body and bring nature to heel. In the many adaptations of her text, the monster’s body has taken an iconic voice of its own, the monster losing his original eloquence to become the childish, silent figure of film, a creature that was all body and no voice. Paul McGuigan’s film “Victor Frankenstein” continues his bodily silence and performs the medical apparatus of the body. Building on the investigative lens used by the BBC’s Sherlock, with camera panning into key pieces of evidence, the camera work of “Victor Frankenstein” takes a medical investigative approach to the body, giving both Victor and Igor the ability to see the inferiority of bodies, medically diagnosing them with a glance. Bodies are written over by anatomical drawings, writing skeletal and cardio-pulmonary systems on the exterior of the body. The body is rendered a passive object, offering up its inferiority to the diagnostic gaze. We first get introduced to Igor at the circus where he is functioning as part of the freak show due to his hump. He becomes the circus medic through private learning and thus has the potential to complicate the notion of disabled body/ medical doctor by inhabiting both roles. However, when first seen by Victor Frankenstein, he is rendered a passive subject by Victor’s medical gaze, prefiguring him as an object in the same way that people witnessing the freak show had done. Freak show transforms into medical theatre when Victor takes Igor, still treating him as property, and alters his body without his permission, piercing his hump and forcing him into corrective clothing to adjust his posture. His body becomes property of science and he loses any ability to disrupt the simple binarism of medical practitioner and medicalized body offered by his own knowledge of medical science. Igor is partially complicit in his own enfreakment, desiring normative bodied identity and visiting a medicalizing lens on the body of the monster that he and Victor construct as a medical fix-it for death. 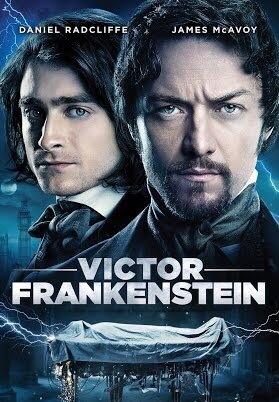 “Victor Frankenstein” constructs an enhanced medicalized lens by not only focusing the camera on parts of the body that are non-conforming to ideas of bodily normalcy, but also by rendering the interior of these bodies onto the externality of the body, turning the camera into medical equipment – part cinematic camera and part MRI. This lens, combined with the treatment of bodies as open to experimentation and modification, marks the film as one of disabled bodily passivity and medicalized control.